Support Calvert Nature Parks - Join today! Volunteer: Help our nature parks and our programs be successful by devoting time to assist the naturalists. Learn more here. Shop your Support for Calvert County's Nature Parks: When you are shopping online, go to smile.amazon.com/ch/52-1473580 and select Calvert Nature Society as your charity of choice (write us in at the box). Once you select the Society, Amazon will donate 0.5% of the purchase price from eligible purchases through AmazonSmile from that point forward. Make a donation: We always appreciate financial support of our efforts. Your gift helps us move into the future to protect our lands and waters and to educate and inspire through nature. Keim Forest: 100 Acres Preserved! Calvert Nature Society's purchase of the property on Sixes Road effectively doubles the protected area around Battle Creek Cypress Swamp, one of the northernmost stands of bald cypress trees in the country. The property features an historic tobacco barn built from locally harvested and milled cypress logs. The barn dates from the mid to late 19th century and documents local and national construction techniques of that era. You can learn more here. Planning on a visit during the holidays? Please check the Natural Resources Park Hours & Trail Closures page for updates. From River to Bay, Calvert County has it all. Come down and sample our wonderful parks. Each park offers a variety of opportunities for recreation and learning. The Beach: Flag Ponds Nature Park. Approximately 500 acres of natural area on the Chesapeake Bay from beach to upland. The Swamp: Battle Creek Cypress Swamp Nature Sanctuary. Walk among almost 100 acres of one of the northernmost stands of bald cypress trees in the United States. The River: Kings Landing Park Get out on the water or explore more than 265 acres on the Patuxent River. Nature parks are managed and operated by Calvert County Natural Resources Division, with support from the Society. 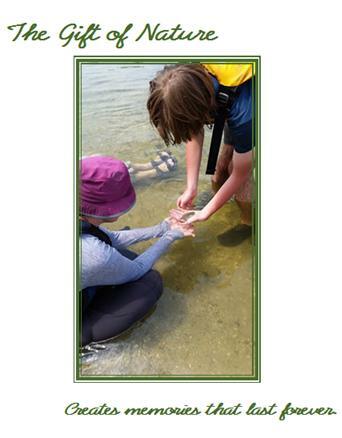 Sign up for one of our Nature Programs to learn about the plants and animals of Calvert County. Calvert Nature Society supports the Calvert County Division of Natural Resources (part of the Department of Parks and Recreation) efforts to provide environmental education and recreation opportunities in Calvert County. Whether it's summer camp or an evening kayak trip, these programs create lifelong memories and instill a strong sense of stewardship for our natural lands. Just as the park programs support the residents and visitors to our parks, we must support the parks. Volunteer: Help our programs be successful by devoting time to assist the naturalists with these programs. Become a Member of Calvert Nature Society: Receive the quarterly newsletter, discounts on programs, and support your local parks. Local business and corporations play an important role in maintaining high quality park programs that support the local community.